Leading Wholesaler of abb rccbs, havells double pole mcb, havells rccbs, legrand rccb, hager isolators and legrand 4 pole mcb isolator from Secunderabad. 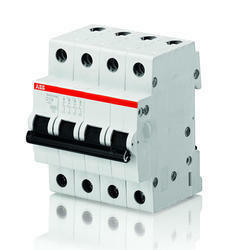 ABB RCCBs Residual Current Circuit Breakers (RCCBs) provide protection against earth leakage fault. They ensure the safety of human life in case of earth leakage fault and protection against electric shock. Matching up with the requirements of our clients, we are involved in offering Havells Double Pole MCB. Havells RCCBs the use of exposed, substandard, badly wired, wrongly connected or damaged equipment as well as frayed or badly repaired cables reduces the safety of an installation and increases the risk of the person receiving an electric shock. Electrocution is a passage of current through the human body, which is dangerous. Legrand RCCB provides the function of isolation switching and earth leakage protection of electrical circuits. It also provides the indirect protection of the operator’s body against the dangerous effects of electric current. It is also a protective device against fire caused by the electrical circuit fault. 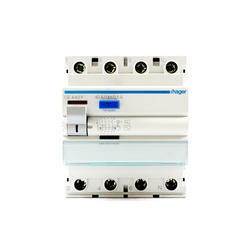 Hager Isolators offers a wide range of Modular Protection Devices, such as miniature circuit breakers (MCBs), auxiliaries and accessories, RCCB ‘s, RCBO’s, Isolators, fuse carriers, DIN HRC fuse carriers, three phase earth leakage add-on blocks and surge protection devices, providing practical solutions for protecting people, installations and equipment. For use as isolators in electrical circuits to provide isolation to downstream circuits. Being a well-distinguished company in the market, we are into offering Legrand 4 Pole MCB isolator. 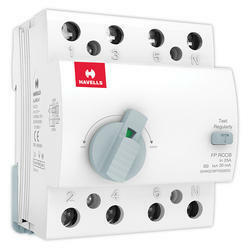 Havells Isolators Mini MCB is a single composite device, which provides, protection against overload and short-circuits faults. It is designed with the unique mounting concept, for use in domestic & commercial distribution systems, at the most downstream circuit ensuring an even higher degree of protection for discriminating applications. 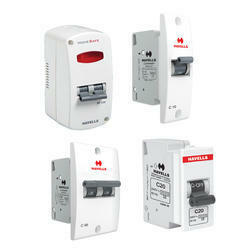 In normal operation, this new Mini MCB is safe to use & there is no threat to user and environment. Owing to the efforts of our dedicated team of professionals, we have been constantly engaged in offering the best quality Havells MCB Switches. ABB Isolators which, can meet the requirements of the most modern and up-to-date installations for low voltage applications. to ensure a safe environment around you. Protection and Control devices offered in this range provide safely at your home and at your workplace. 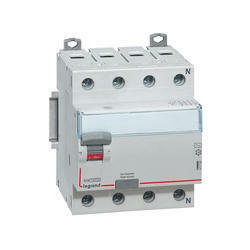 Isolator for panel installation onto DIN rail acc. 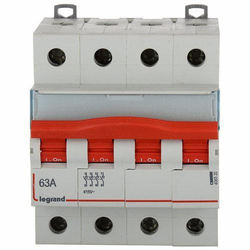 Legrand Isolators are used in electrical installations to make, carry and break circuit current. 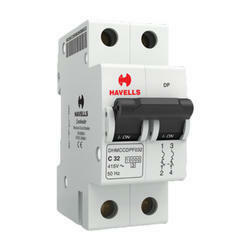 The Isolator ensures that the circuit remains completely de-energized i.e. there will be no current on the load side even if the impulse voltage appears when the isolator is off. 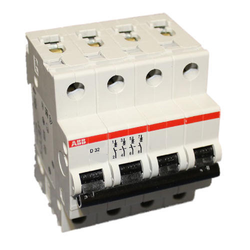 We are one of the most reliable companies in this domain and are into offering ABB 4 Pole MCB. 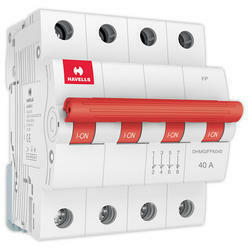 Hager RCCBs offers a wide range of Modular Protection Devices, such as miniature circuit breakers (MCBs), auxiliaries and accessories, RCCB ‘s, RCBO’s, fuse carriers, DIN HRC fuse carriers, three phase earth leakage add-on blocks and surge protection devices, providing practical solutions for protecting people, installations, and equipment. 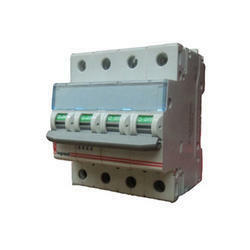 Residual current circuit breakers (RCCBs) - RCCBs Automatically trip in event of earth leakage fault and provides protection against direct & indirect contact with live parts.